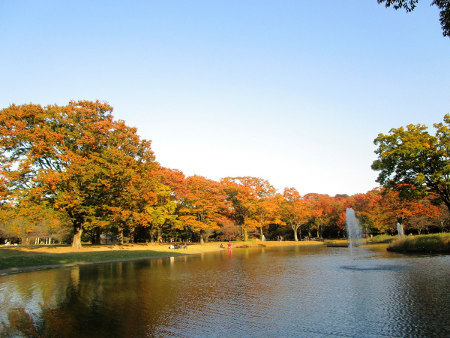 Yoyogi Park is the fifth largest urban park in Tokyo. It is separated by a road into two sections: the forest park A section and the contrasting B section with stadium, outdoor stage, and other facilities. The site was once a military parade ground. After the war, it was used as the Washington Heights U.S. army barracks and the Olympic village for the 1964 Tokyo Olympics before being opened as a park. 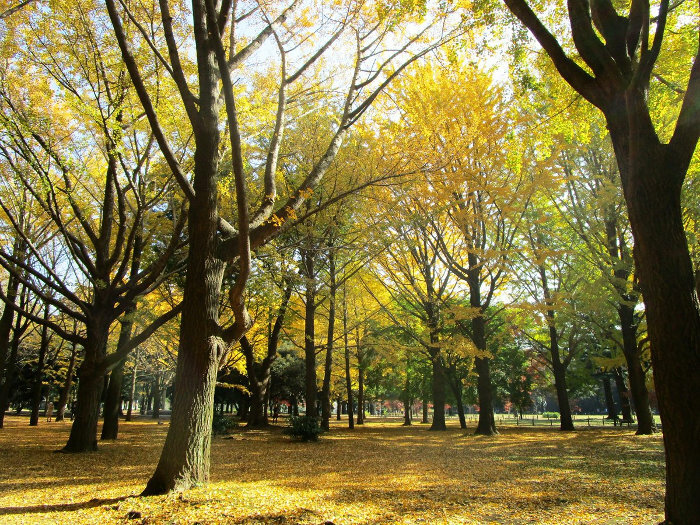 In autumn, various autumn foliage can be seen in the large park. 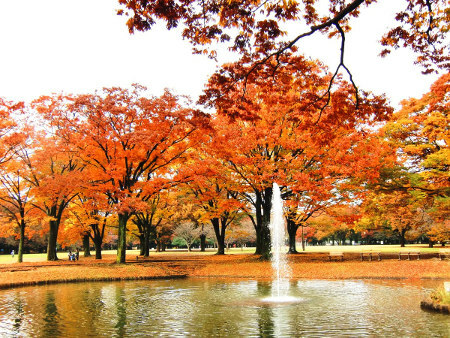 In particular, ginkgo trees on the right side of the Harajuku Gate, zelkova trees in the central field, Japanese maple trees (Momiji) around the fountain pond, are popular as autumn leaves spots. During the period from November 30th to December 31st, 2018, the popular illumination event “Blue Grotto SHIBUYA” (Ao no Dokutsu) will be held at promenade of zelkova trees in the park. 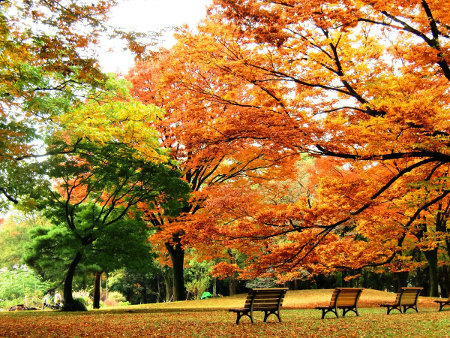 Why don’t you enjoy this event together with autumn leaves?